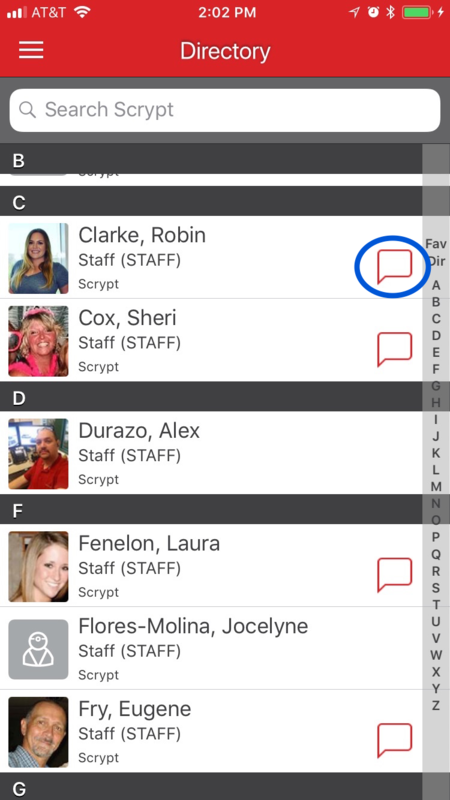 On the Directory tab, colleagues who are actively using DocbookMD will feature a red talk bubble on their Directory listing. This indicates that you can send them a message immediately. If the talk bubble is not featured, then that end user hasn't registered for DocbookMD just yet, or they have messaging disabled.